Heath Culpitt played 15 games over three seasons for Carlton, but didn’t actually start on the ground until his 13th appearance. A solidly-built, right-footed midfielder, he began his climb up through the ranks with the Bendigo Pioneers in the Under-18 TAC Cup, before moving on to play senior football for Castlemaine in the Bendigo Football League. Then in 1998, he was recruited by the Blues with the club’s first selection (no. 6) in the Rookie Draft. Culpitt hit the ground running at Princes Park, and his eye-catching pre-season preparation saw him start the year in top shape with Carlton Reserves. After only two games with the ‘Magoos’ he was rewarded by elevation to the senior team for his debut in round 3, 1999 - when Carlton hosted 1998 Preliminary Finalists; the Western Bulldogs, at Princes Park. Two of the Blues’ 1995 Premiership heroes reached career milestones that afternoon; Fraser Brown played his 150th game for the club, and former Bomber Glenn Manton brought up his 100th AFL game. Wearing guernsey number 52, Culpitt started on the interchange bench and was sparingly used, as the Blues won a hard-fought and sometimes spiteful match by 3 points. Culpitt joined the ranks of notable consecutive bench-warmers through the next five matches, highlighted by 15 possessions in Carlton’s big loss to Geelong in round 5 before returning to the Reserves for the rest of the year. He didn’t get another opportunity at senior level until round 18, 2000, but his return to the bench was a joyful one, as the Blues demolished Collingwood by 111 points at Princes Park. 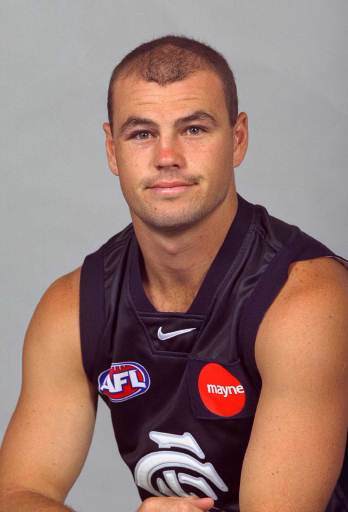 During the off-season, Heath had switched to jumper number 32 – although it didn’t improve his prospects, and all of his four senior games in 2000 started from outside the boundary line again. Still, there was one memorable moment when he launched a ball-burster from outside the 50 metre arc in the Round 20, 2000 blockbuster against Essendon, and it sailed through for one of his five career goals. Coincidentally, Culpitt’s persistence was finally rewarded when he was included in the starting line-up for Carlton’s next clash with Essendon in round 3, 2001 – a huge Easter Thursday night confrontation at the MCG. Heath lined up on a half-forward flank, alongside Lance Whitnall and Ryan Houlihan, and the injury-depleted Blues (under first-year coach Wayne Brittain) played gutsy, smart football to beat the Bombers by 17 points. Culpitt played on a wing the following week in a disappointing (but understandable) loss to Adelaide at Princes Park, before being relegated to the bench once more for what turned out to be his last AFL game; against St Kilda at Princes Park in round 5.The Blues were by far the better side throughout, but their frustrating inaccuracy around the goalfront kept the visitors in touch until the last ten minutes. Final scores were Carlton 17.23 (125) to St Kilda 14.8 (92). Despite the win, Culpitt found himself back with the Reserves on the following weekend, and he wasn’t recalled before season’s end. A mid-year foot injury didn’t help his cause, and in September he was told that his services were no longer required. In 2002, Culpitt headed back to play for Castlemaine in the Bendigo Football League, he won the club's best and fairest and represented Victoria in the Australian Country Championships. In 2003 Culpitt was wooed to play for Ovens & Murray Football League Club Wangaratta. This obviously didn't last long as he headed to SANFL club Glenelg for the 2003 season, he then represented Glenelg from 2003 to 2005 where he played 55 game and booted 51 goals in which he was runners-up twice in the best and fairest award. In the years after departing Princes Park, Culpitt travelled widely and played influential football for a number of clubs. He won the Nicholls Medal as Best and Fairest in the Northern Territory Football League playing for St Mary’s in 2005/06. In 2011, Heath and another former Blue in Lincoln Withers were both with the Waratahs club, and they scored a coup for Territory football when they convinced their ex-team mate Brendan Fevola to join them in Darwin. Fevola – the 2006 and 2009 Coleman Medallist - booted 49 goals in six matches. Contributors to this page: Bombasheldon , blueycarlton , PatsFitztrick , molsey , tmd1 , p(12)terg , BlueWorld , true_blue24 , WillowBlue , Jarusa and admin . Page last modified on Monday 08 of April, 2019 19:56:40 AEST by Bombasheldon.